Next time you’re at Walmart, check and see if your store has this Rollback price. 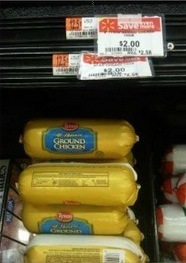 Some Walmart stores have the one pound packages of Tyson Ground Chicken on Rollback for $2. 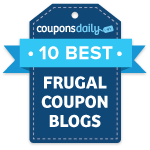 If you find the same price at your store, use this $1/1 Tyson Ground Chicken coupon to get it for only $1! If the coupon isn’t pre-clipped after clicking on the link, click on the Local Coupons tab, change the zip code to 62946, then click on the link again.